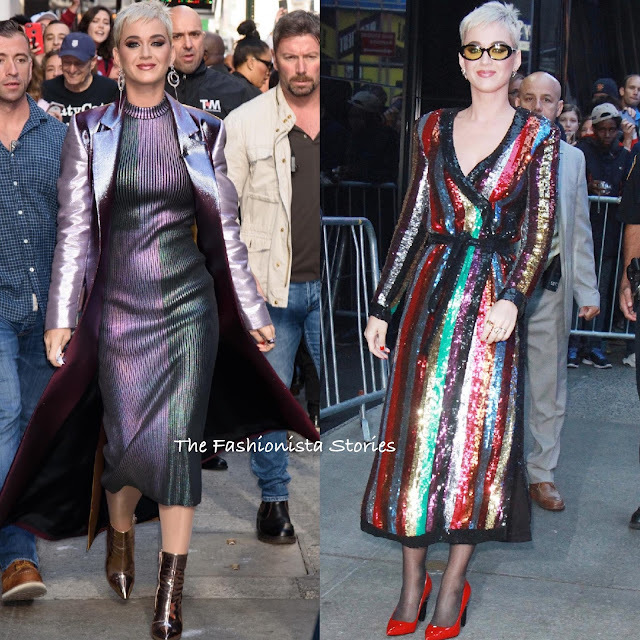 Katy Perry stepped out this morning(October 5th) in two different looks for an appearance on Good Morning America in New York to promote the new American Idol. 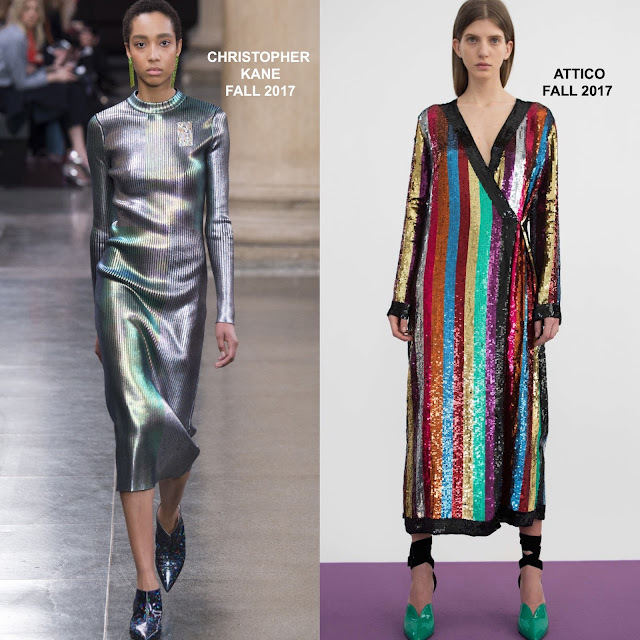 For her first look, she wrote a metallic coat with burgundy velvet underlining and a CHRISTOPHER KANE FALL 2017 silver long sleeve foil ribbed dress. I'm not loving the boots but she looks great ankle up. Following her appearance, she stepped out in a ATTICO FALL 2017 crossover robe ankle length dress with a v-neckline, a belted waist and side pockets. If this looks familiar, that's because we saw it on Kat Graham in August 2017. She styled her dress with sheer black tights and red pumps. Again, I like her look ankles up. Which one of Katy's looks do you favor?